Environmental Awareness is to the forefront at CJS. 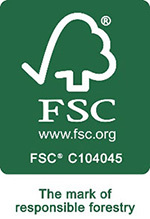 As the only pallet manufacturing company in Ireland to maintain FSC® Certification, we ensure that all of the timber used in our pallet manufacturing operations is sourced from sustainably managed forests. We are also the only pallet manufacturing company with a certified ISO14001 Environmental Management System. The environment has become a global core concern, a focus which is indeed positive news for the timber pallet and packaging industry. The timber consumed by CJS in pallet manufacture absorbs carbon as it grows and stores it in the products that CJS make. Our operations ensure that the lifecycle of the wood is extended to its absolute maximum. Read more below about the benefits of using wood as a packaging material. We have further strengthened our commitment to carbon neutrality by launching our ‘Going Green in 2019′ initiative which will coincide with our 25 Years in Business celebrations. Our initiatives range from subtle changes to significant investments. Examples include rainwater harvesting, converting all of the company’s plants to LED lighting, reducing and potentially eliminating the use of single use plastics and the installation of biomass boilers to fuel our kilns which will be powered by residue from the pallet manufacturing divisions replacing fossil fuel. We also have our sights on the ISO50001 Energy Management Standard and intend to have this embedded within our portfolio of certifications by year end 2019. 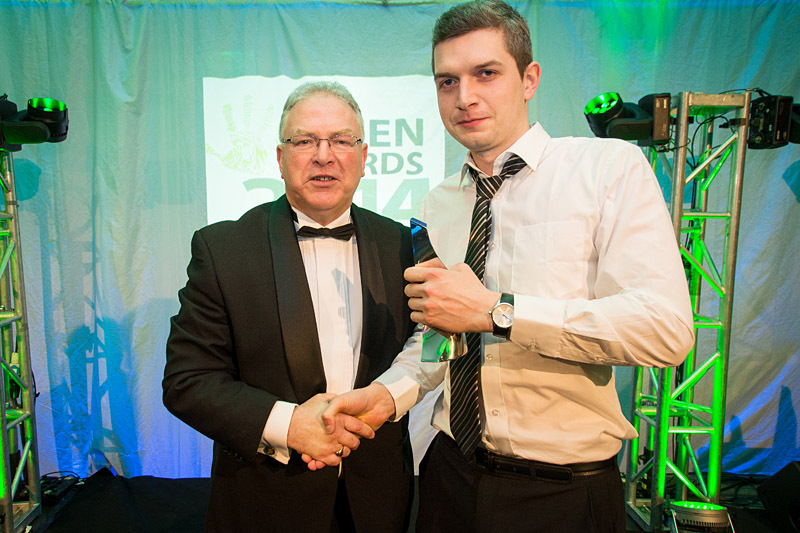 Follow the CJS Green Journey on Twitter, Facebook and LinkedIn. The wood we use to make pallets and packaging is harvested from sustainably managed forests. As demand for wooden products increases, more forests are planted. The size of managed forests in Europe is growing by an area the size of Cyprus every year. Forests absorb huge volumes of carbon dioxide from the atmosphere – approximately 0.9 tonnes of CO2 is stored in every cubic metre of wood. Pallets and packaging are manufactured from small logs and falling boards, which form part of a cascade system. This is highly efficient and means every part of a harvested tree has a use. If they are damaged, wooden pallets can be repaired easily with replacement timber. Alternatively, they can be recycled into wood chips or used to manufacture further products. When wood eventually reaches the end of its useful life, it can be used as a renewable fuel. Wood is a highly sustainable product compared with plastics and other alternatives. Wood requires far less energy and is much cleaner to produce than plastic. Timber has a short renewable carbon cycle of just a few years. Wood is the only widely used material that has a beneficial effect on carbon footprint. A wooden pallet absorbs and stores approximately 27kg of carbon from the atmosphere as it grows, reducing the overall carbon impact of the business that is using it. 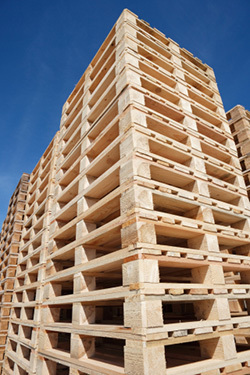 In Europe, over 25 million cubic metres of timber are used every year in pallets and packaging. 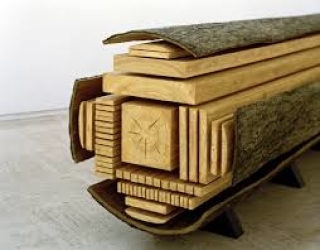 Europe produces about 100 million cubic metres of sawn timber. The average lifespan of a timber pallet is between 5 and 7 years. Approximately 90% of pallets are manufactured from timber. A high percentage of timber pallets are recycled or rebuilt. In Europe over four billion wooden pallets are in circulation; this means 108 billion kgs of CO2 are stored in the wood.. It is estimated that the contribution of 10.3 million tonnes of increased biomass for energy purposes, provided until 2010, prevented about 12.5 millions tonnes of CO2 being released had the same amount of energy been produced with coal. Burning wood is carbon neutral, a fact well understood by the wood industry, which derives up to 75% of the energy it uses to process wood from wood-by-products. European forests, where over 90% of Europe’s timber comes from, are being developed on a sustainable basis so that they are replanted with more trees than are harvested; this total planted area is increasing by an area the size of Cyprus (approx. 802,000 hectares) each year. All European pallets comply with the Phytosanitary Requirements (ISPM15); this requires heat-treatment of 560C for 30 minutes at least. Recent studies show bacteria have a greater survival rate on plastics than on wood. A timber pallet is up to six times cheaper than it’s plastic equivalent.